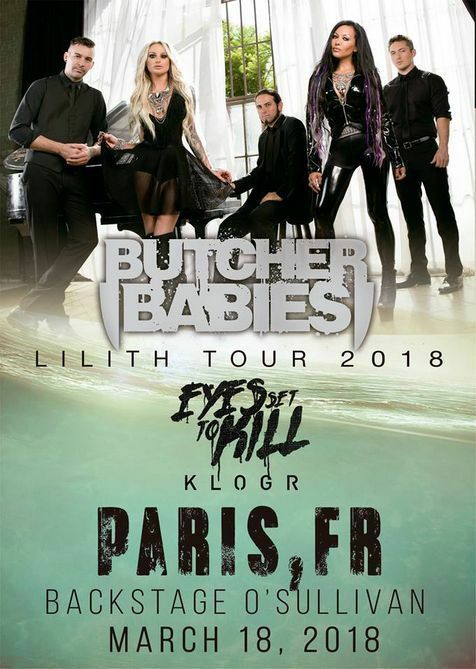 Fan-filmed video footage of EYES SET TO KILL performing a cover version of THE CRANBERRIES‘ “Zombie” on March 18 at Backstage O’Sullivan in Paris, France can be seen below. EYES SET TO KILL is continuing to tour in support of its self-titled album, which came out last month via Century Media. The follow-up to 2013’s “Masks” was produced by Sam Graves and was mixed and mastered by Joe Graves of Innersound Audio. EYES SET TO KILL revealed the album’s debut single, “Break”, in late 2017 with an emotionally charged music video.